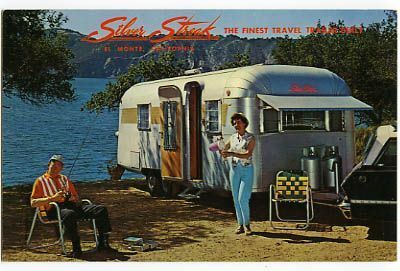 Being an old "ad hack" and retro camper guy I've always loved vintage RV and vintage camper logos so I thought I'd start a blog here and ask folks like you to add vintage rv logos, posters, book covers or anything else you think is cool, vintage and retro. Thanks for adding your additions here. Just click on the little "black camera" logo above your comments to add yours! Note: pizel sizes of 300 by 280 pixels or so work best. If it's wayyyy to long, just change the "1200" pixels or whatever shown in the code to 230 or so and try again. Thanks! Can't wait to see em.